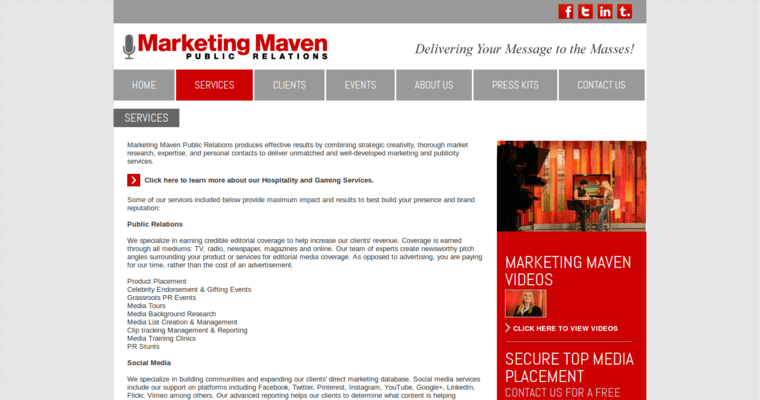 Marketing Maven is a public relations agency that specializes in the field of public marketing and digital media usage. 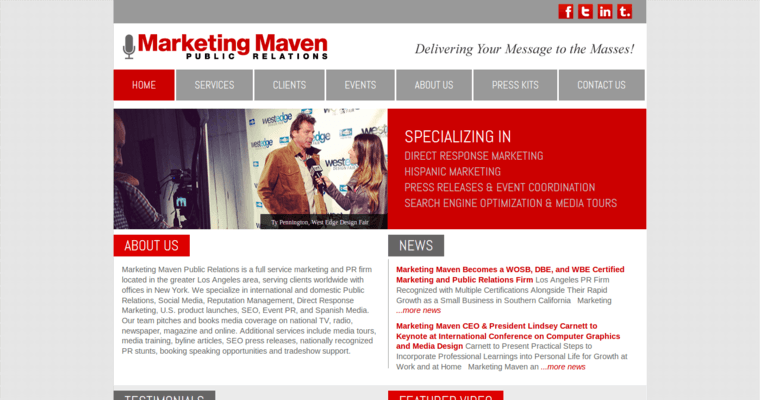 Marketing Maven is based out of New York and Los Angeles and works as a full service marketing and communications agency that uses social media strategy, digital marketing, brand strategy and innovation in order to help their customers get the desired business results. 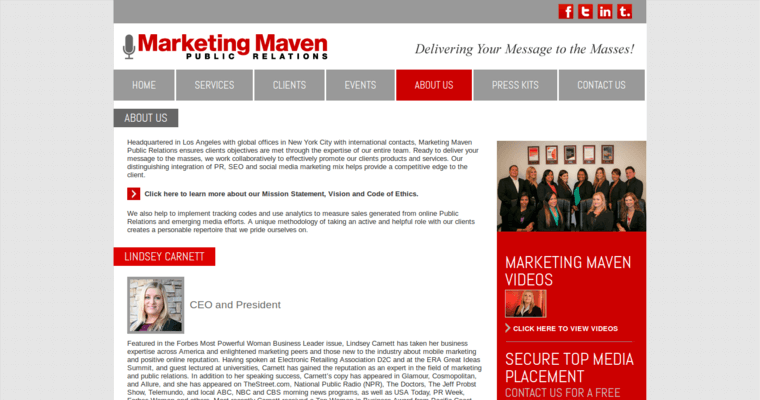 Because it is about marketing, the agency employs a wide variety of services such as making press releases and email marketing for when it comes to managing public relations. Market research is also a service provided here, since it is important for clients to know who their audience is and what they want. Creativity is also a crucial service provided here, with workers and designers at the agency providing copywriting tactics, graphic design, story building strategies and marketing collateral for ensuring that a client's business is thoroughly engaging.